In the winter of 1969, 21 women from the area of Elkridge, MD formed a new chorus, called, simply enough, the Elkridge Chorus. In January 1969, the chorus chartered as a chapter of Sweet Adelines International, a women’s barbershop organization. At the SAI Regional competition just a few months later (April ’69) Elkridge won our first award as the best small chorus. (Of note, Pat Sigmon, one of the original 21 founders of Elkridge, can still be found at rehearsal every Wednesday). The following year, as regional medalists, the chorus competed in Wisconsin at our 1st International contest, placing in the TOP TEN. Under the direction of Jackie Grant, the chorus won many first place Regional Awards and placed in the top 10 Internationally two more times. 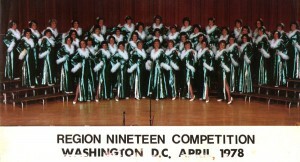 Under Jackie’s leadership the chorus garnered many Regional gold medals and International competition appearances. Upon her retirement in 1993, Michael Gellert was appointed Director of the chorus. With Michael at the helm, Elkridge began developing a reputation for being one of the most creative choruses in the Sweet Adeline world. In 1998, our “Orphan Package” redefined what a show package could be. In a world dominated by glitz and glitter, the chorus took the stage in simple pinafores and stole the audience’s hearts as the “children” in Mrs. Hannigan’s orphanage. Singing songs from “Annie,” arranged by Michael in the barbershop style, alongside classics like “Over the Rainbow,” performance coaches continue to cite that performance as a textbook example of what a show package should be. 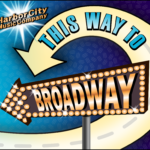 In 2002, Elkridge merged with the Towson Valley Chorus and took on a new chorus name, Harbor City Music Company Show Chorus (HCMC) continuing under Michael Gellert’s leadership. HCMC once again was slated for another International appearance in Nashville. Our show package, affectionately called the “Cat Package,“ was comprised of stray alley cats complete with tails and furry ears and makeup worthy of a Broadway show. The chorus charmed the audience as “mic testers” for the International Finals with songs such as “In the Wee Small Hours of the Morning” & “Stray Cat Strut.” (The Mic tester position is the coveted 11th place spot. Although not in the top ten, the 11th place chorus is able to present their “show” package for the audience to see. After many, many months of hard work and practice, it’s an honor. The CAT package performance generated a 4 and a half minute standing ovation in Nashville from an audience of approximately 8000 Sweet Adelines attending the Chorus Finals. We felt as if we had won the contest! The mid-2000′s saw a decline in membership, which simply provided HCMC an opportunity to compete as a “mid-sized” chorus. In 2006, we won the Harmony Classic gold medal awarded to mid-sized choruses. 2009 was a terrific year for us when we brought home the Region 19 First Place Mid-Sized Chorus Award (as well as second overall). We scored high enough enough to earn a coveted spot at the 2010 Harmony Classic in Seattle. In October of that same year, we competed on the International Stage in Nashville coming home with the Harmony Achievement Award (the highest scoring mid-sized chorus). Small, but mighty, we scored higher than many choruses much larger than HCMC. What a thrill! HCMC continued to experience success after our award-winning performance in Seattle by once again receiving the Harmony Achievement Award in Houston in 2011 and placing 14th in the International SAI contest. In April 2012, the chorus traveled to their regional contest in Ocean City, Md., where they placed first over-all and also were named mid-size chorus champions. We have firmly establishing our reputation for delivering memorable performance moments. Never ones to rest on our laurels, we are always working towards competitive excellence, while continuing to perform locally and entertain each audience in our unique HCMC style! 2015 was our year to shine! 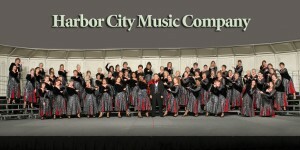 HCMC placed 8th in the finals of the Sweet Adelines International compition in Las Vegas, Nevada. HCMC did a medley from the hit musical Hairspray winning 8th place and was also voted by the audience as THE MOST ENTERTAINING CHORUS IN THE WORLD. Most recently, Regional 2016 brought us a First Place medal, making Michael Gellert a Master Director 700 with a score of 706! September 6, 2019 – F.L.A.S.H. September 4, 2019 – Friends and Family International Send-off!